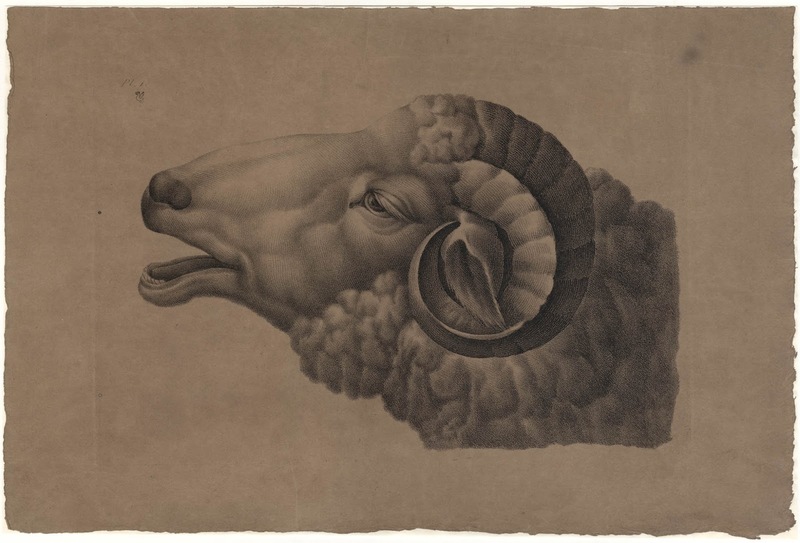 “Ram’s head: Plate 1”, 19th century (Note: the seller from whom I purchased this print advised me that the impression is from the 18th century, but based on the type of paper (wove rather than laid), the font style chosen to inscribe “Pl. 1.” and the stylistic treatment of the image, I propose that the print is from the 19th century). 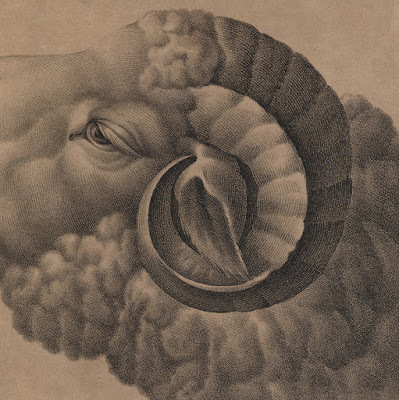 Roulette stipple engraving on tan wove paper on a support sheet of fine, millennium quality, washi paper. Lettered “Pl. 1” (upper left) and stamped with an image of a lion-headed, winged serpent (? 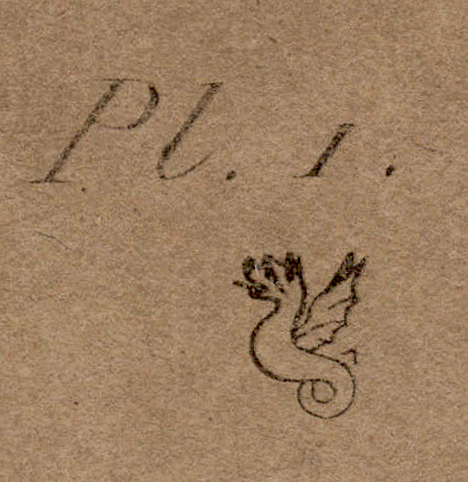 )—perhaps the artist’s signature seal—-below the plate number at upper left. Condition: strong impression on thick wove paper with what seems to be printer’s creases (?) supported on conservator’s washi paper. The sheet is in good condition but there is a light stain on the upper right corner of the plate mark. I am selling this large and delicately executed engraving of ram’s head for AU$119 in total (currently US$89.83/EUR80.34/GBP69.28 at the time of posting this listing) including postage and handling to anywhere in the world. If you are interested in purchasing this extraordinary print, please contact me (oz_jim@printsandprinciples.com) and I will send you a PayPal invoice to make the payment easy. 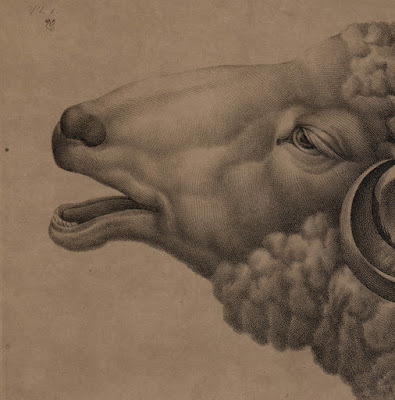 Sometimes I wonder why I purchase certain prints, especially when they feature farm animals. 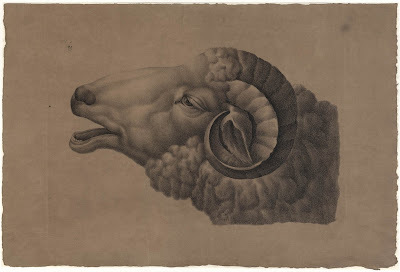 This head of a ram, however, still makes my toes curl as it is so lovely. 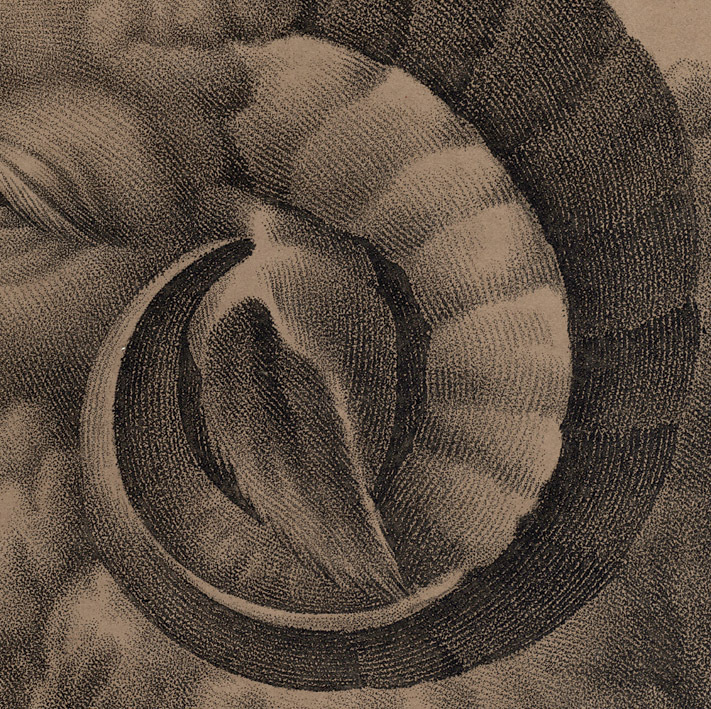 What I love about it has a lot to do with the spiral horn and its Golden Section placement in the composition. 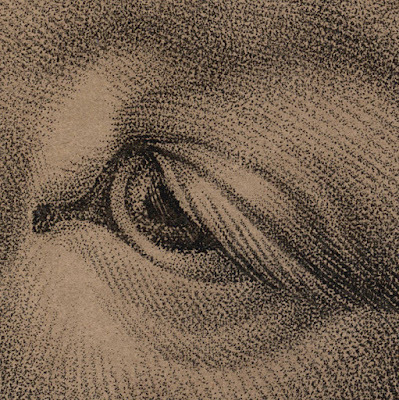 To my eyes, this horn gives pictorial tension to the image. For instance, I see it as a mechanical spring that “holds” the sheep’s mouth open and gives “life” to the sheep’s eye. 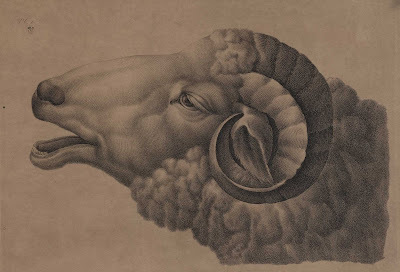 In fact, the artist’s treatment of this horn makes me not only see and feel the internal tension in the sheep but it also makes me believe that I can hear the sheep as it bleats.